Oh Yes! 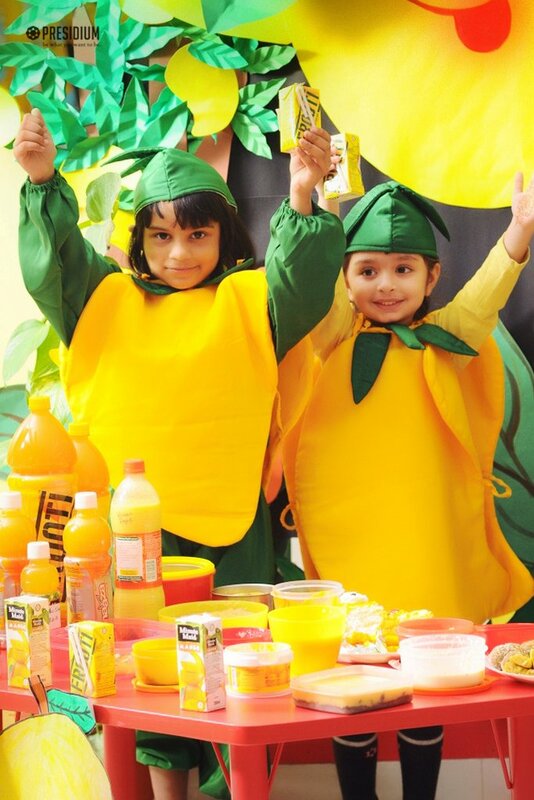 My heart does tango, when I see a Mango." 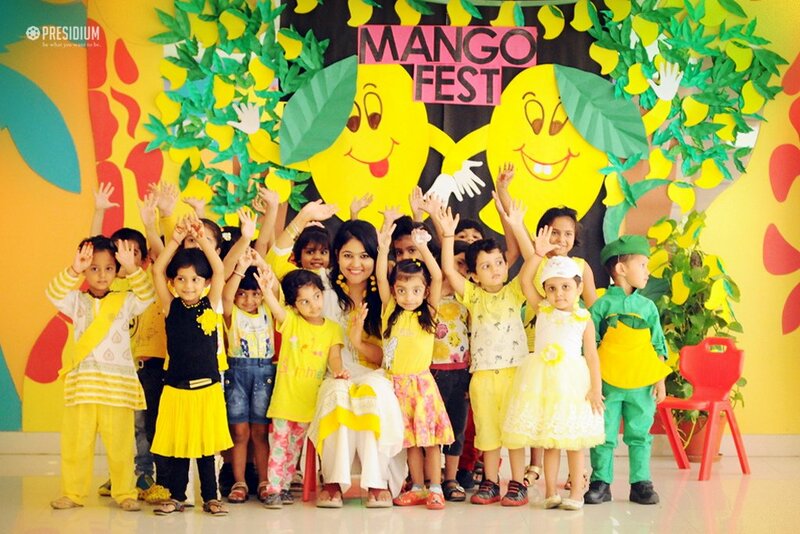 Nothing beats the summer heat better than the sumptuous sight of mangoes all around. 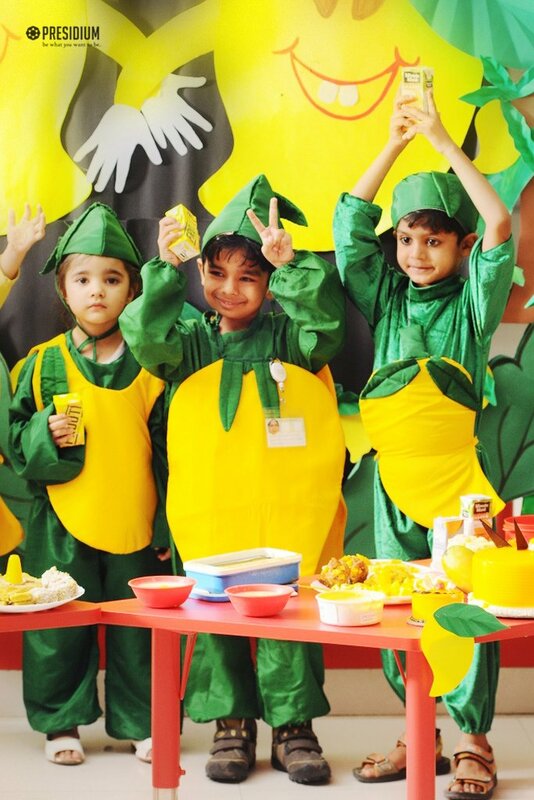 To give the students an opportunity of experiential learning, Presidium Raj Nagar recently celebrated 'Mango Fiesta' - the Mango food festival in grades Nursery and Prep. 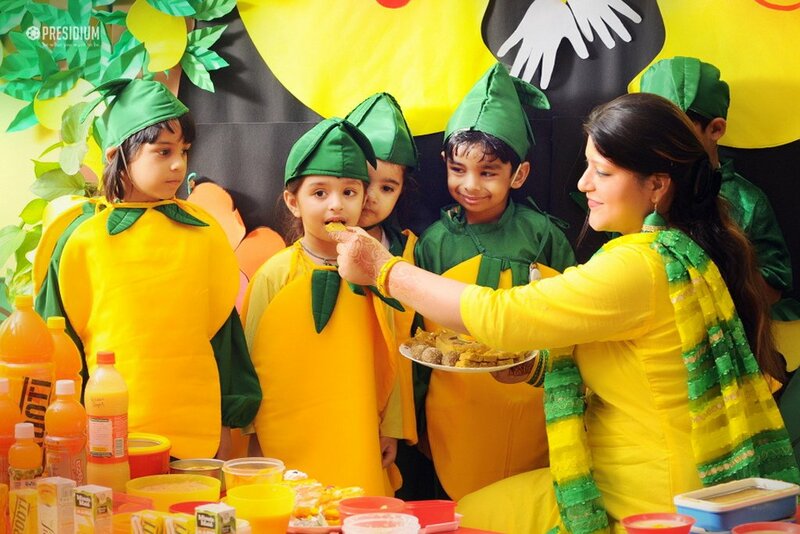 Students brought delicacies cooked using mango as the main ingredient and relished them too. 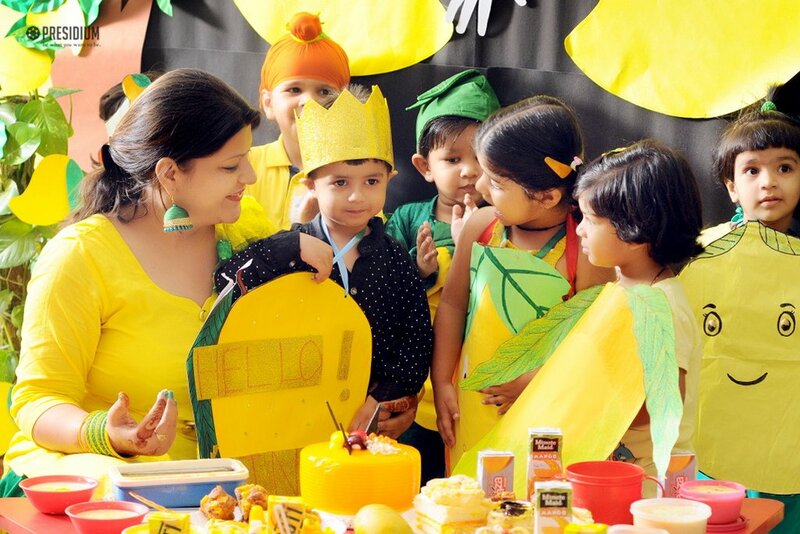 They not only got acquainted with numerous Mango dishes but also dressed up in beautiful attires according to the theme. 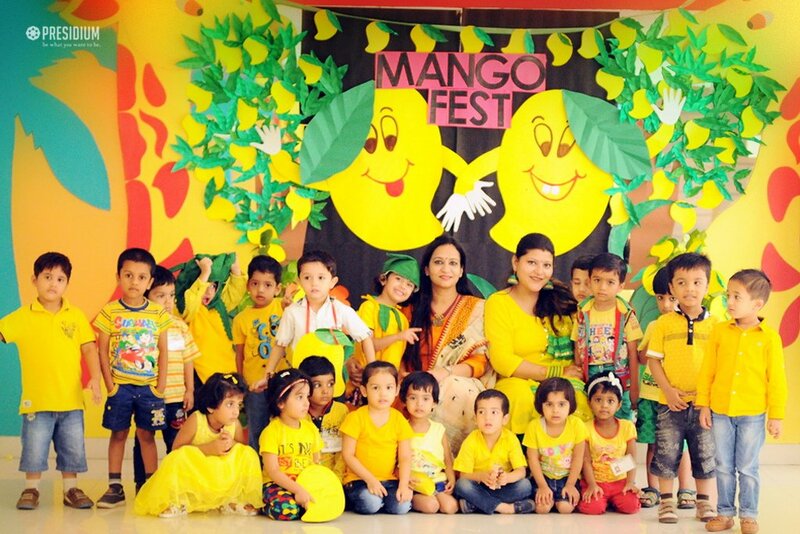 Students delved into the world of Mangoes and learnt about their season, colours and forms.